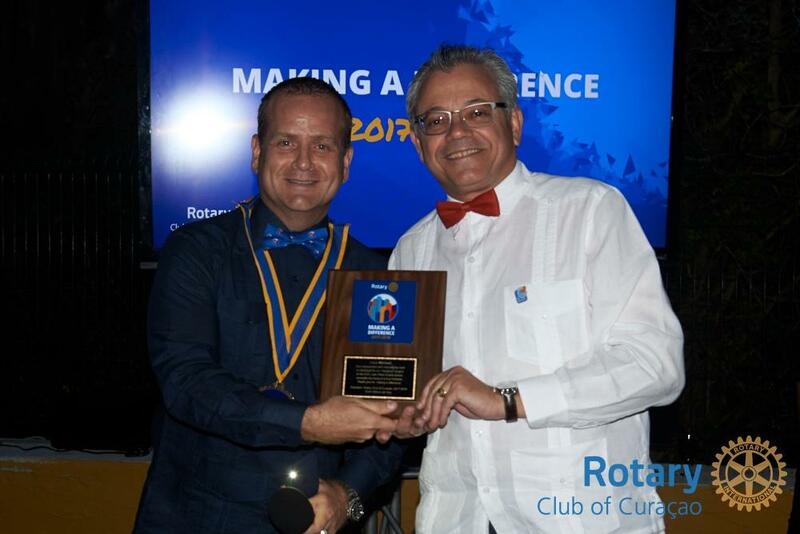 What is the Rotary Club of Curacao? What do we do? Where does the money raised by us go? 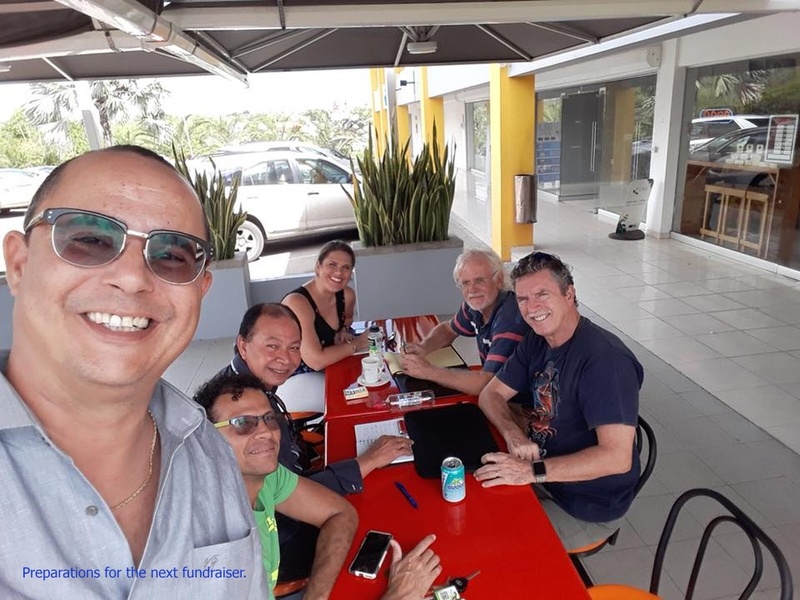 How can I become a Rotarian? Get the answers on these questions and more by reading our online brochure. 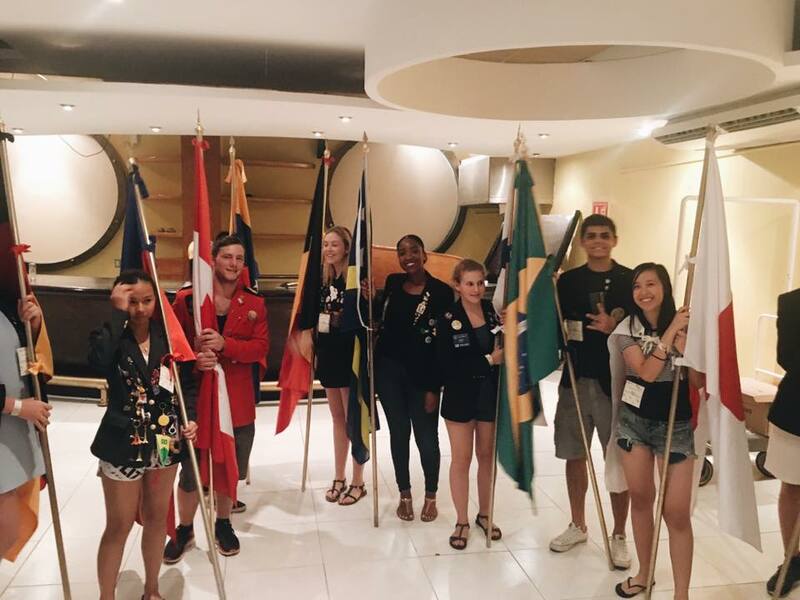 Stories of Club, District and R.I. Tremendous "carwash with a great group of enthousiatic INTERACTIANOS. 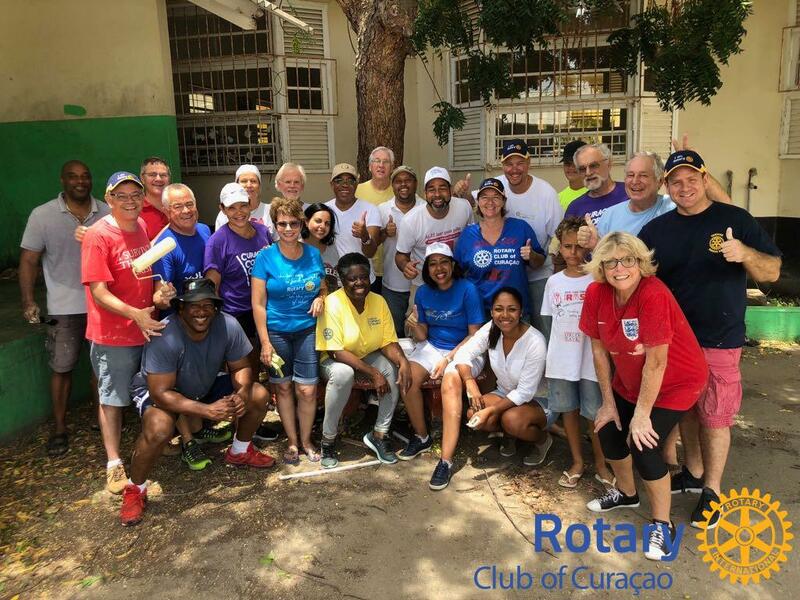 Members of Rotary Club of Curaçao (RCC) pulled up their sleeves and joined forces on a cleanup and painting project at AGO Juan Pablo Duarte School in Montaña. 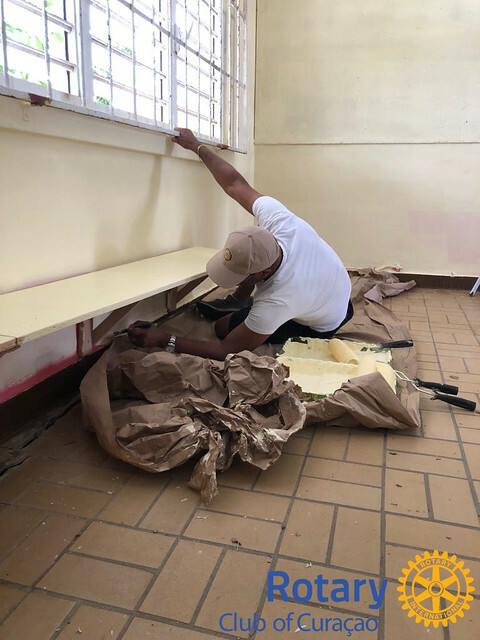 Both the inside and outside walls were thoroughly cleaned and the walls as well as the ceilings of 3 classrooms were painted with a very fresh light color. RCC once again demonstrated yet another day of great fellowship while giving back to our local community. 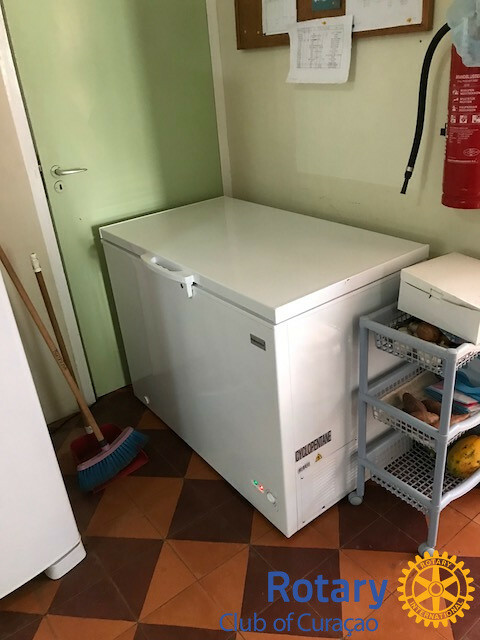 The remainder of the school is being fixed and upgraded by contractors from the Montaña neighborhood during the days and weeks to come for the pupils to have renovated school premises when the new school year opens in August. 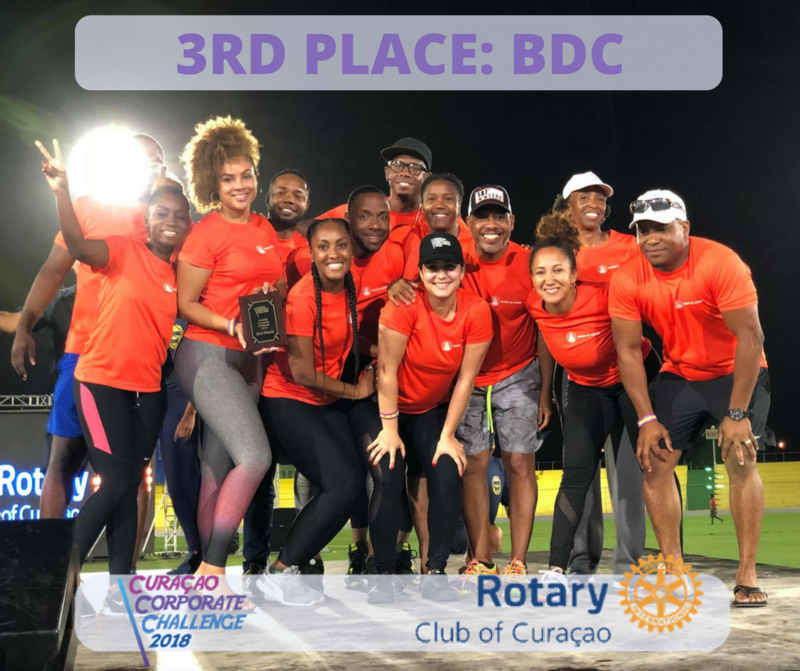 RCC would like to thank all our members that participated in the event (see group picture) and our loyal sponsors: Kooyman & Coca Cola. 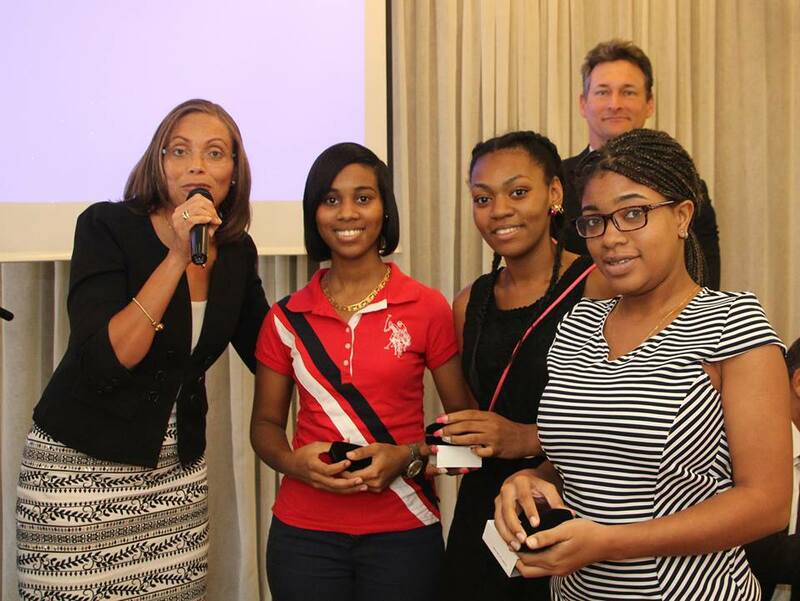 President 2017-2018 Erick van Eps, handed out honorary rewards for ‘Making a Difference’ to Mrs. Danielle van Eps , Ms. Evelyn Kruithof-Bor, Mr. Michael de Sola, Mr. Pierrot Hurtado and Ms. Thyra Hoogenbergen- Sannen. Mr. Gino Cova was graciously decorated with a Paul Harris award. 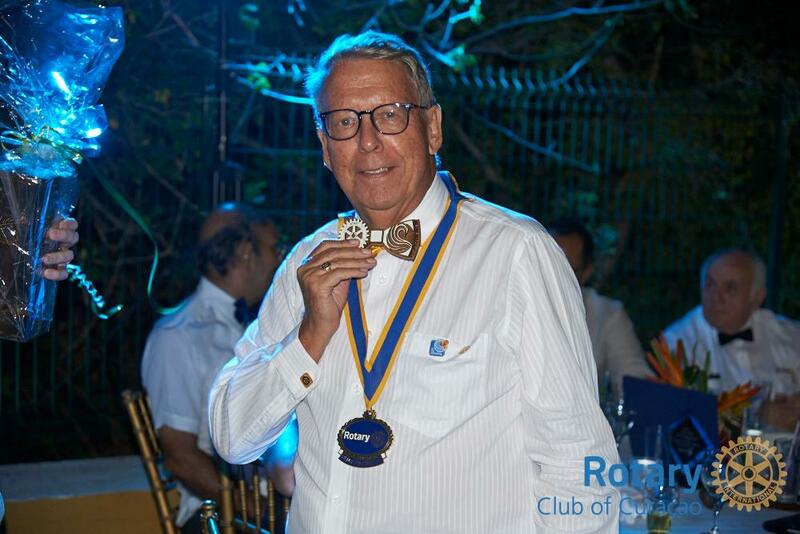 Last Thursday on may 3rd, we had a very festive and fun evening, as we had a Mexican themed dinner, during which we pinned 2 new young members and a Paul Harris Fellow was granted. 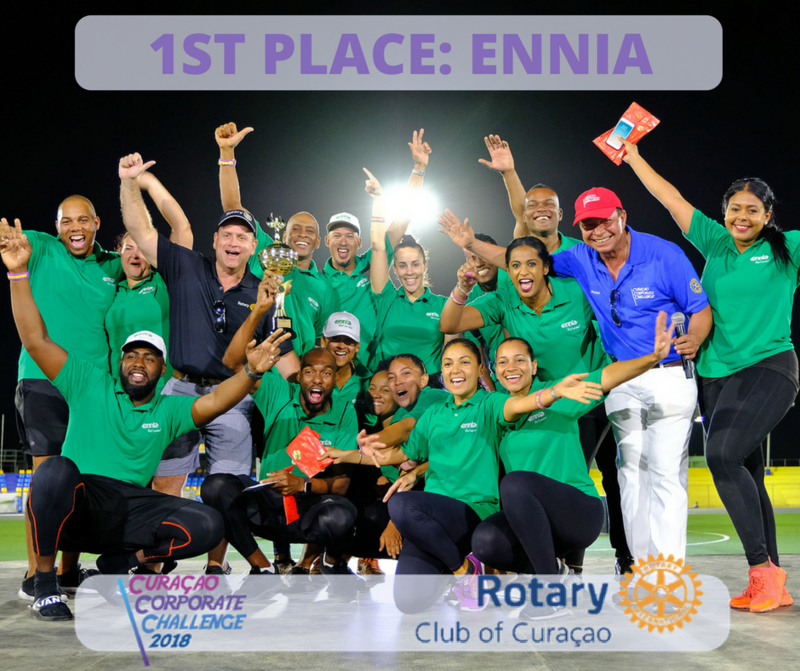 Rotarian Lynda Williams introduced Neysa Isenia and she spoke very highly of Neysa listening her personal accomplishments and her contribution to the society. She is currently a reading assistant at school and is on the Board of the Children's Museum. 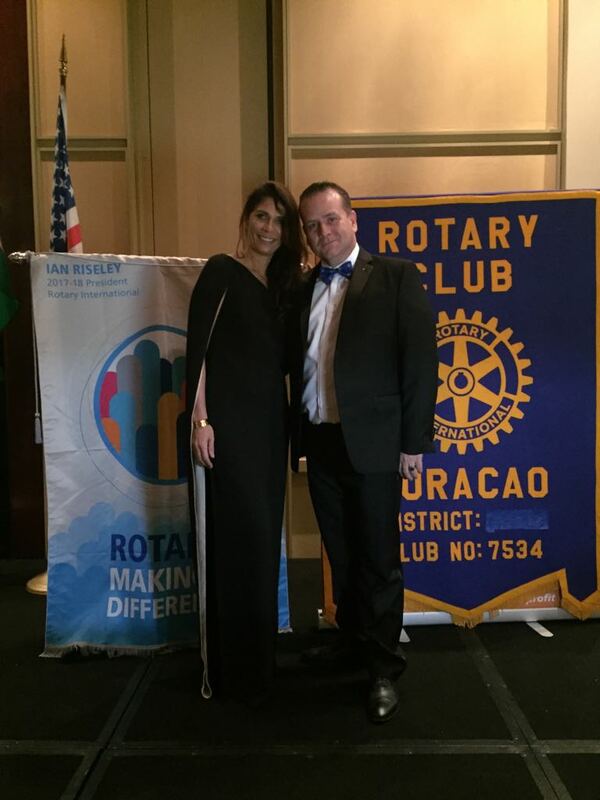 Rotarian Reinier de la Fuente introduced Vanessa Sierra who is from Stockholm, Sweden. She is a PR and Communications Manager and is now one of the youngest members to be pinned. 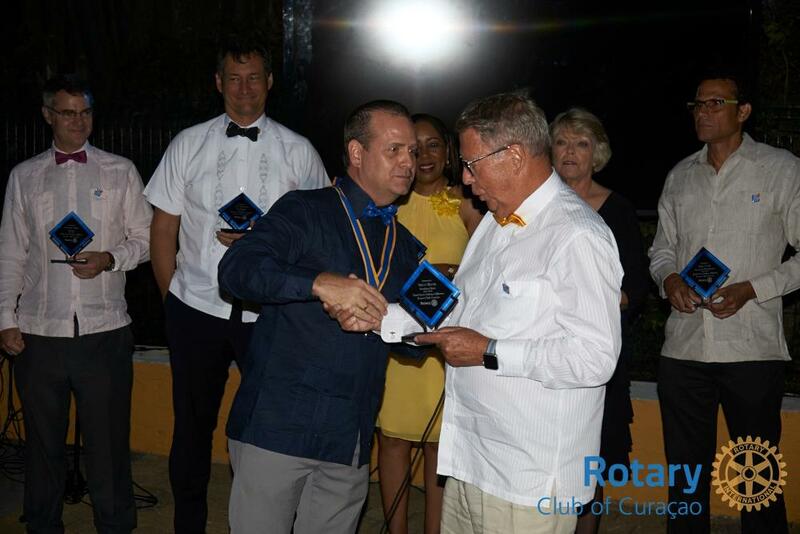 Rotarians Daisy Tyrol-Carolus and Lynda Williams surprised President Erick van Eps with a Paul Harris Fellow for his dynamic year as President and all he has achieved. 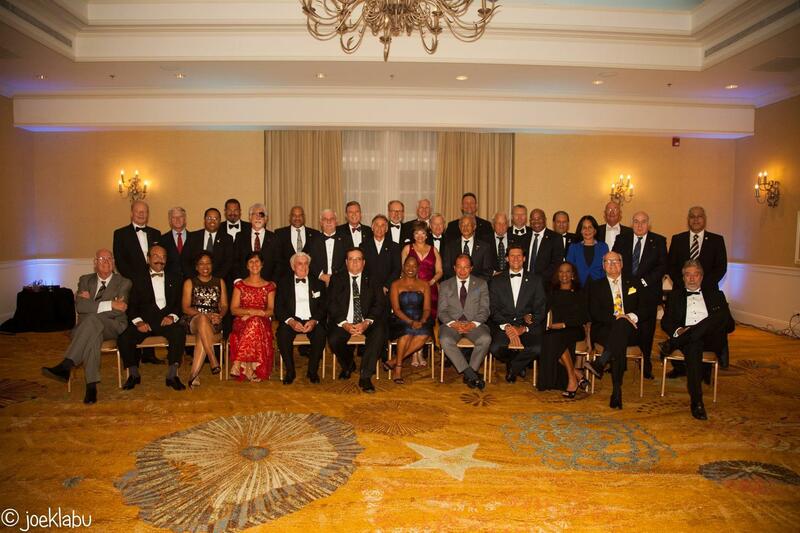 A warm welcome to the new members & congratulations to Erick! 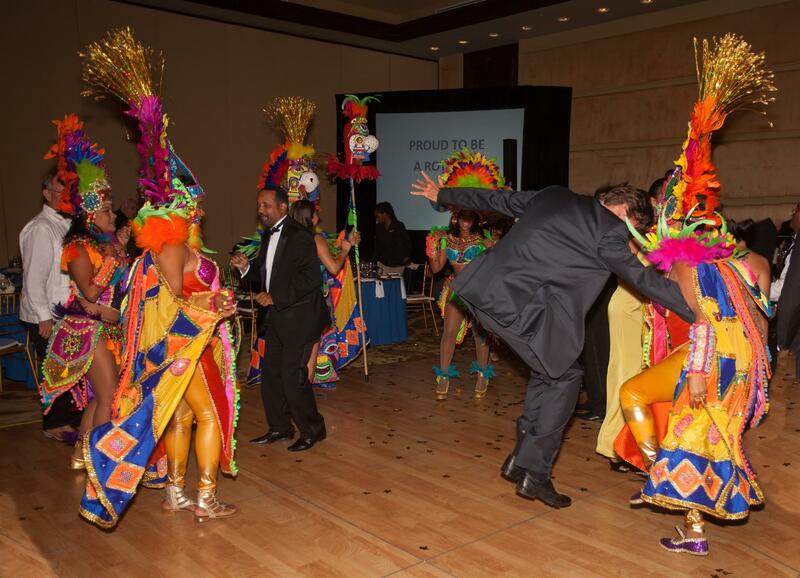 At the end of the evening President Erick surprised us all with a festive performance of the Mariachi's. 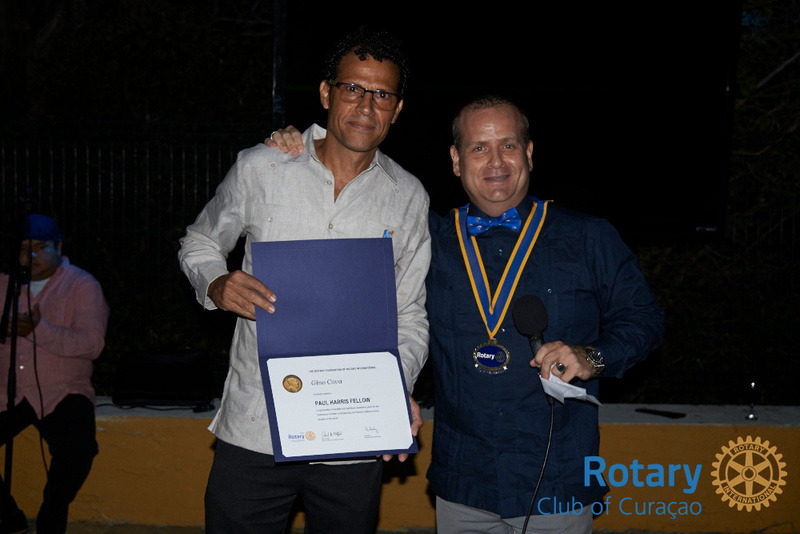 The prestigious Paul Harris Fellow was awarded to Erick van Eps for his outstanding service as our President. Always have a difficulty choosing where to eat? So many good restaurants, but you can't visit them all in one night-- Until now! 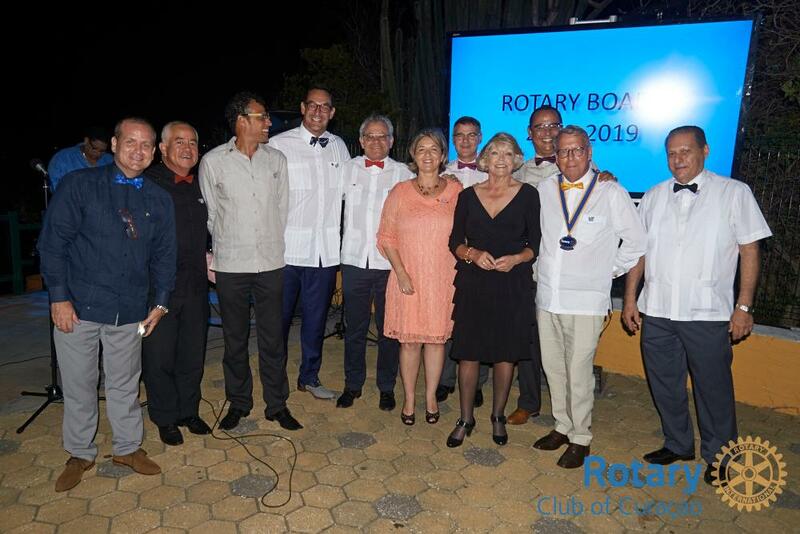 Join the Rotary Walking Dinner on May 8th, and you will receive 5 delicious courses with wine package in 5 of Pietermaai District Curaçao most famous restaurants. 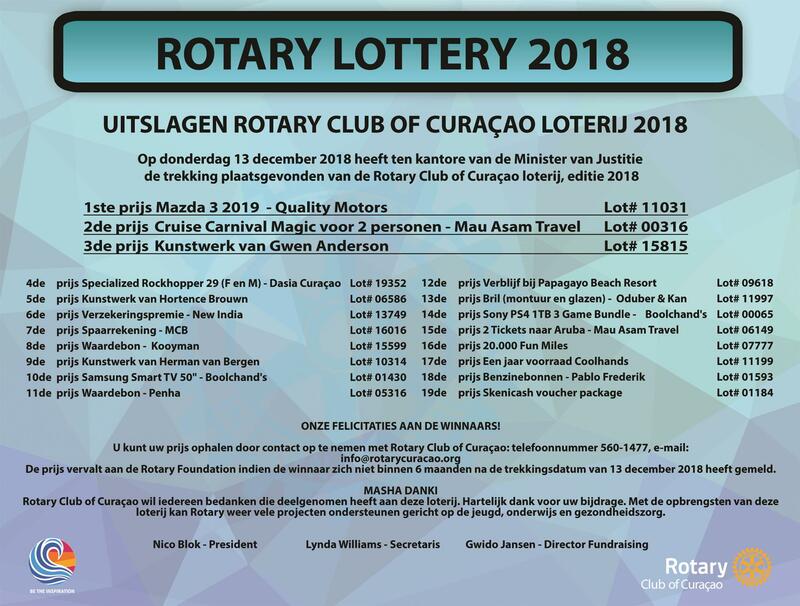 With your participation you will be supporting Rotary's cause to raise funds for the new mammography equipment of Fundashon Prevenshon. 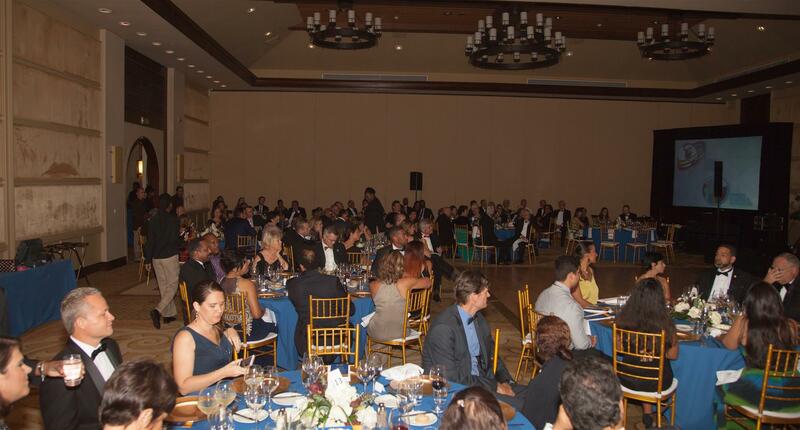 We have limited seating available so send an email to rotarywalkingdinner@gmail.com to make your reservation now. For more information: check out our event on Facebook. 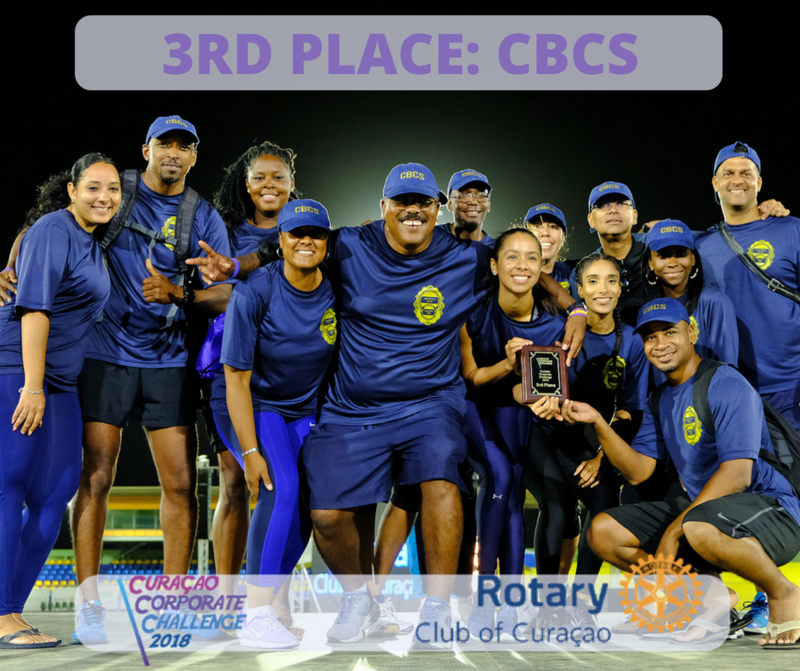 This is a friendly annual sporting event, organized by the Rotary Club of Curaçao, during which various companies challenge each other to raise money for a good cause. Just like all kids, Bandabou kids dream of fame and great accomplishments. Unfortunately they do not have the same possibilities and access to the necessary swim facilities as the rest. 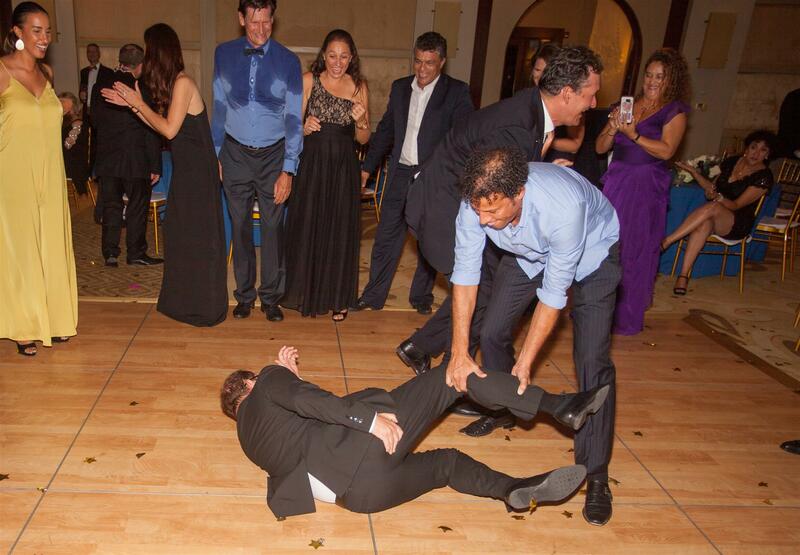 Transportation to and from professional swim training for example poses a great challenge in and of itself. 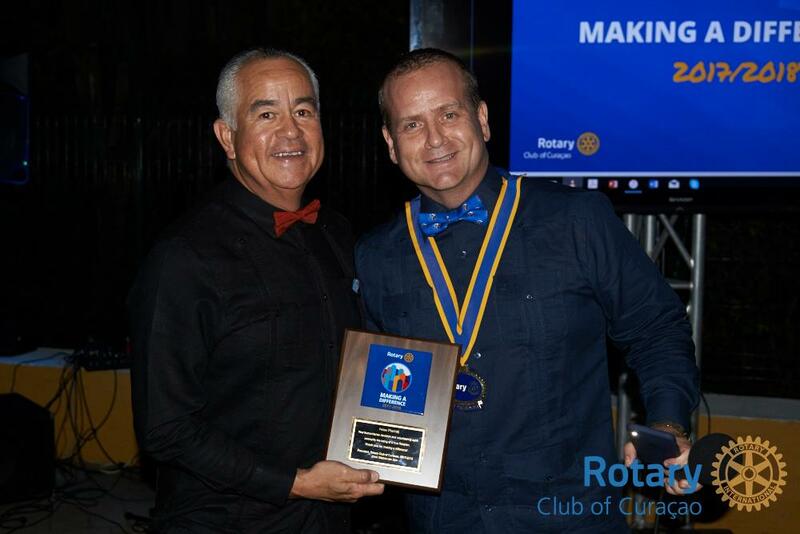 Help Rotary transform humble dreamers into future swimming heroes. 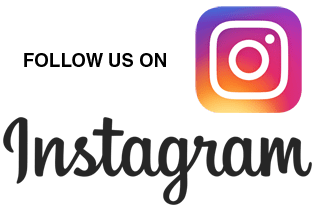 Would you like to participate? We have some spots left. 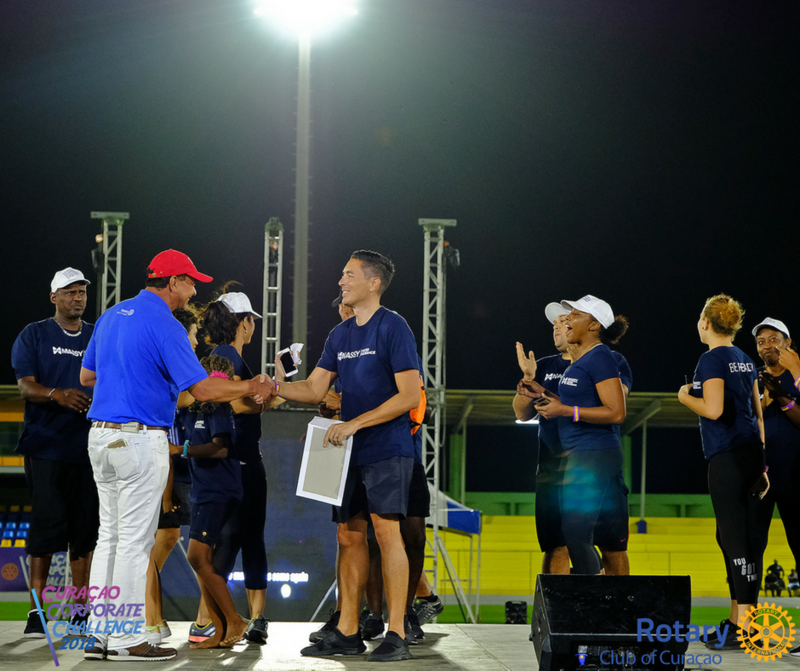 Submit this form now: http://bit.ly/rotaryccc_inforequest and you will receive more info about participating. Come and support your favorite team: There will be lots of food and drinks for attractive prices & a bouncer for the kids. Don't forget to pick up your ticket at the entrance to participate in our FREE RAFFLE with great prizes. 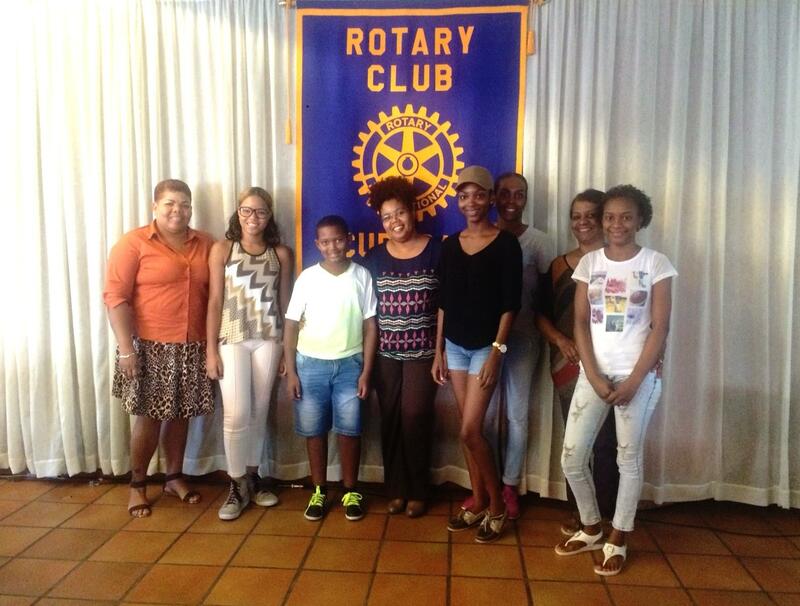 Stichting Community Service Rotary Club Curacao o.v.v. 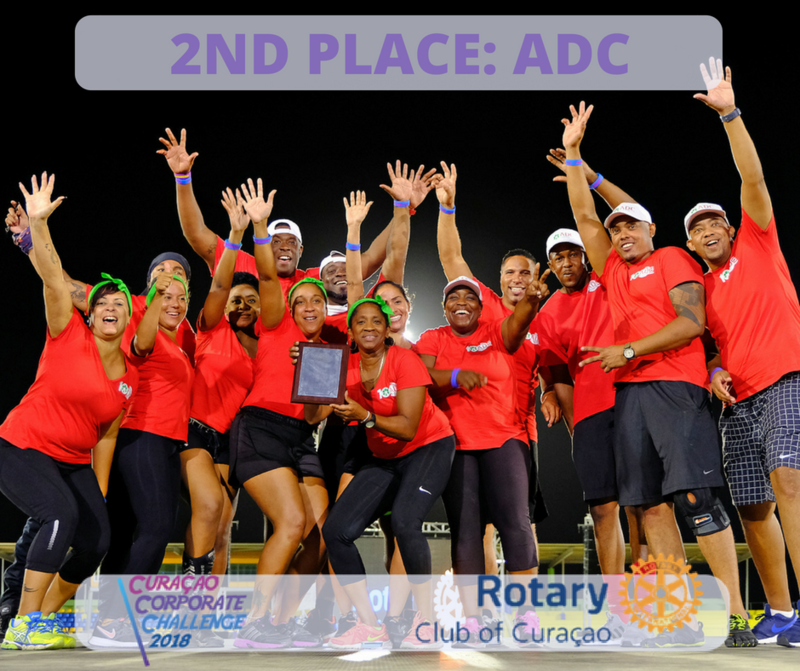 RCC CCC 2018. 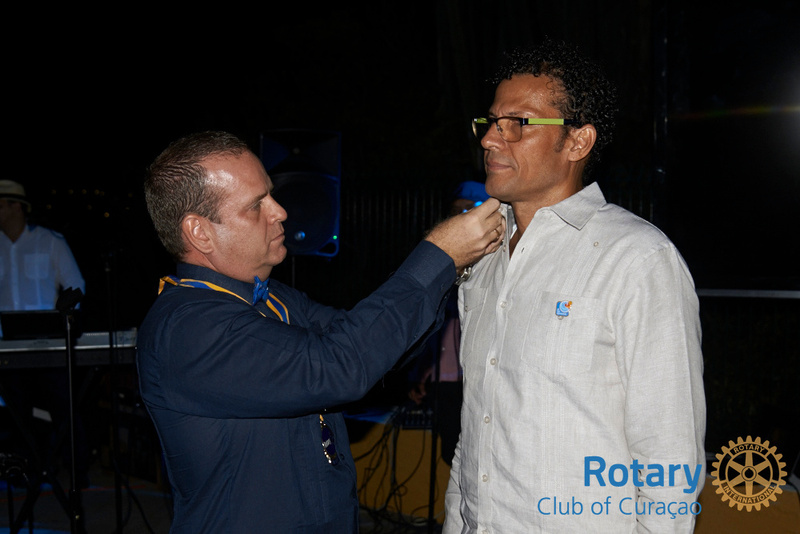 Be social and use #rotaryccc #rotarycuracao and tag us! 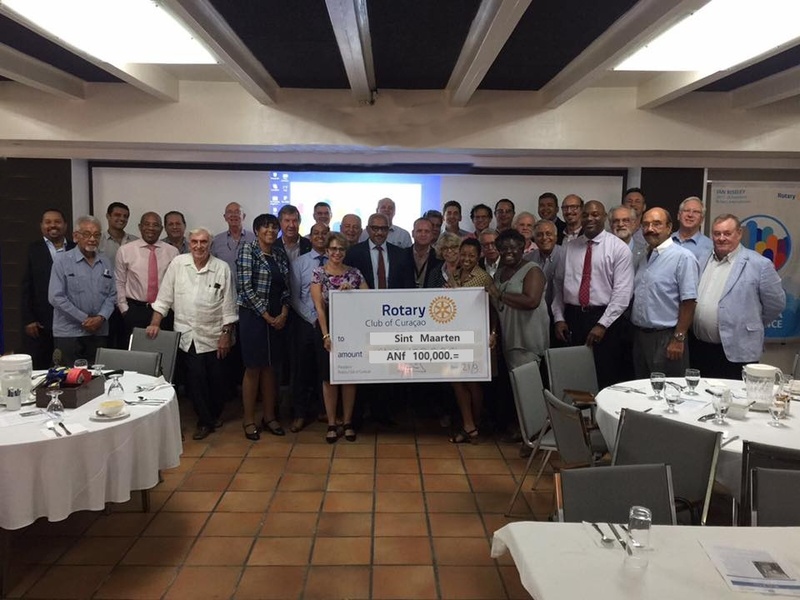 800th Rotary Bus Project | 44 years “fun” trips for children. “Every child should get a chance to get to know her or his island better.” Huub Bongers once said. Huub noticed that many children never made trips to parts of the island outside their immediate living surroundings,---some children had never even seen the sea! 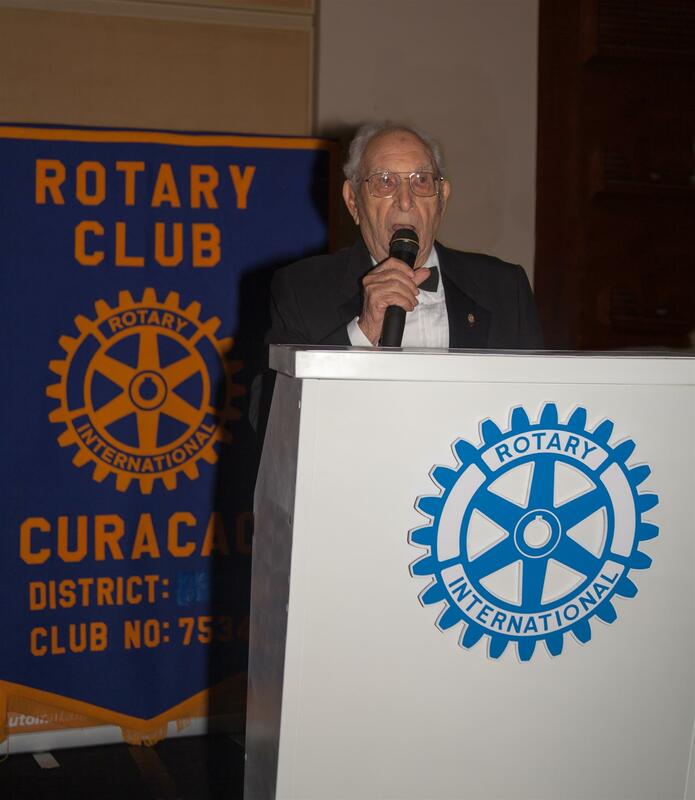 He therefore, with a number of other Rotarians of the Rotary Club of Curacao, started the Rotary Bus Project on December 18, 1974. 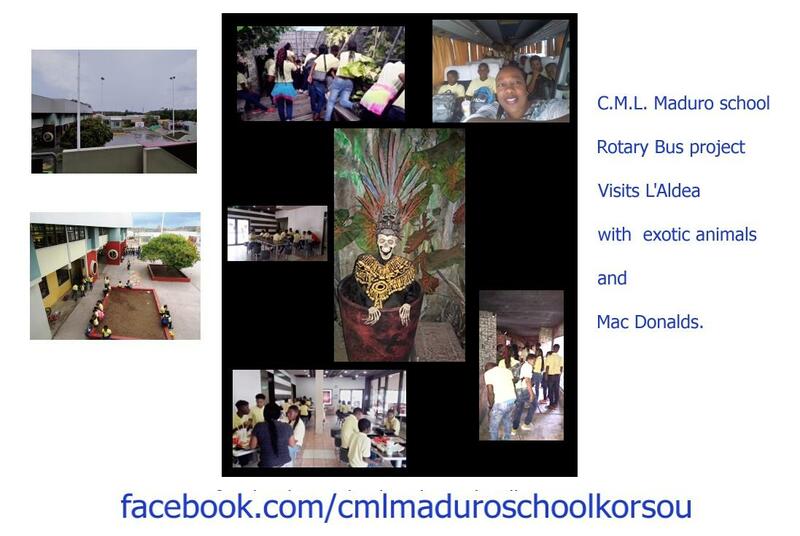 The idea was to every two weeks bring children of the basic schools to a nice destination of their choice. 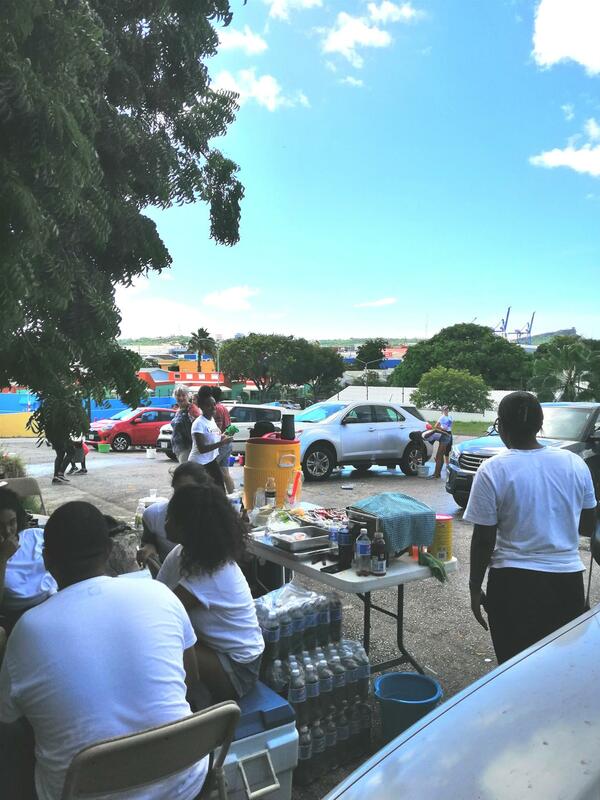 As of then every two weeks a bus of the ABC Busbedrijf brought children of a class of a basic school to a beautiful beach, a monument, a fort, industry, museum or some other attraction or destination of their choice. The complete proceeds go to the Rotary Bus Project. 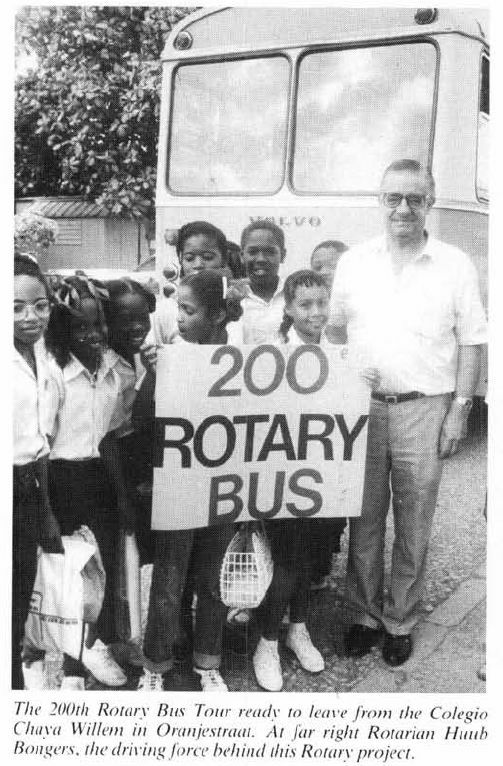 The Rotary Bus Project has in the meantime become a tradition, begun in 1974, the Rotary Bus has brought more than 26,000 children to all sorts of destinations. 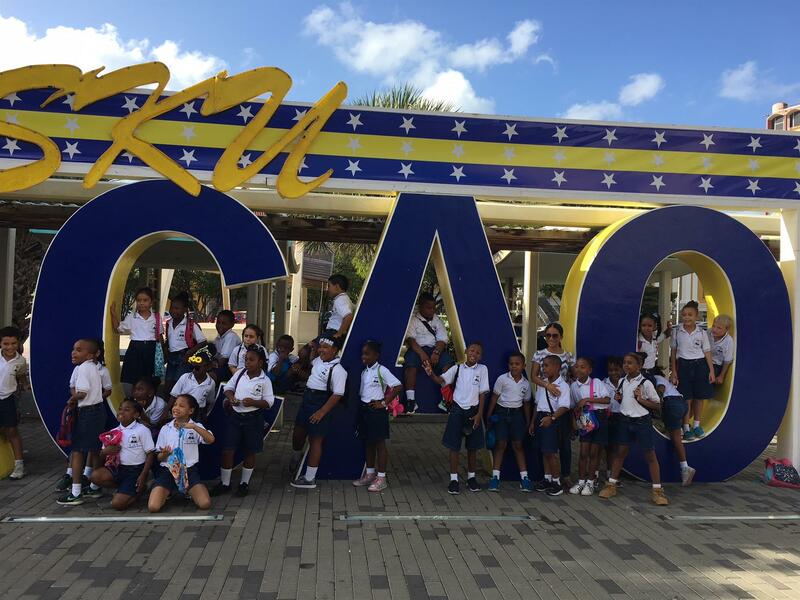 Last Wednesday, May 2nd, the 800th bus with 53 children left from the M.C.Piar School. The children first visited the Tula Museum and after a nice lunch the Tumba Museum. It was a wonderful day and the children, wearing 800th Bus T-shirts, enjoyed themselves superbly. The ABC Busbedrijf has placed their busses at our disposal all these years! * Mr. Huub Bongers during the 200rd bustrip. Ref. 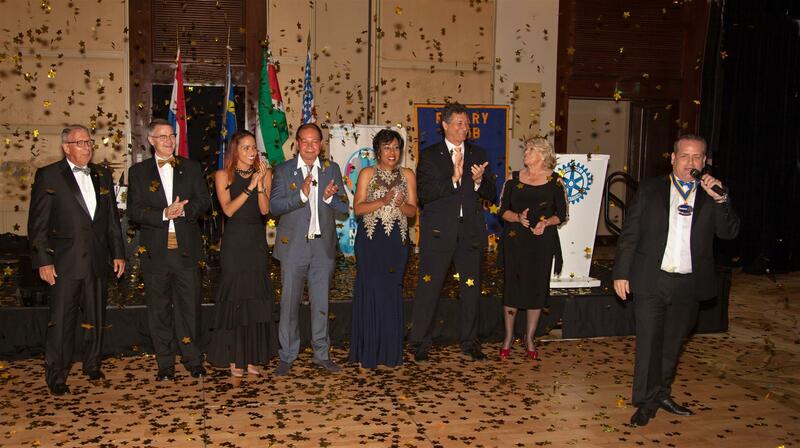 : book Rotary Club of Curacao, 50 years of service. 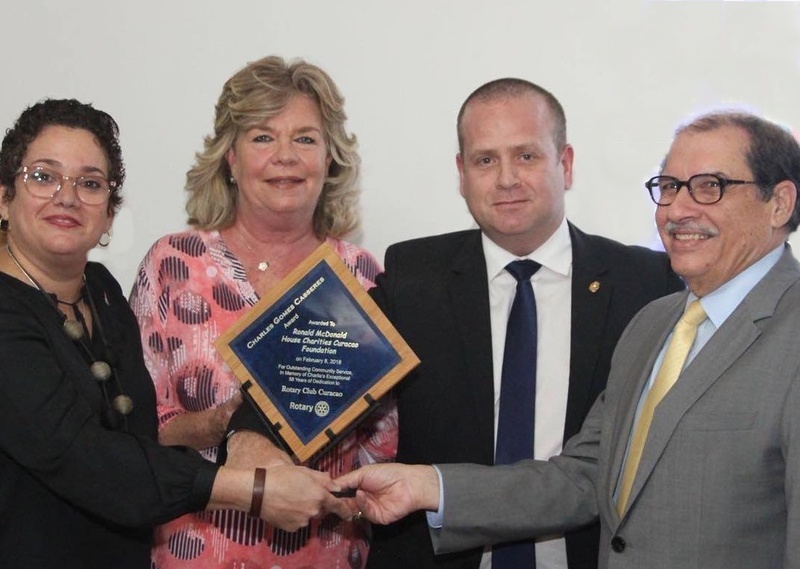 * Members of the Rotary Club of Curacao with the 800th bus.